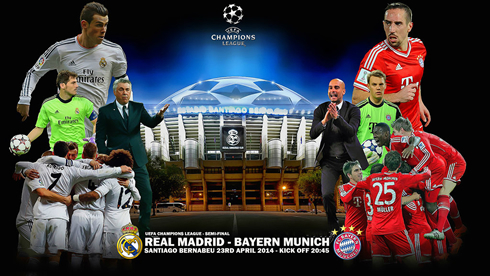 ﻿ Is Real Madrid strong enough to beat Bayern Munchen in a two-leg tie? 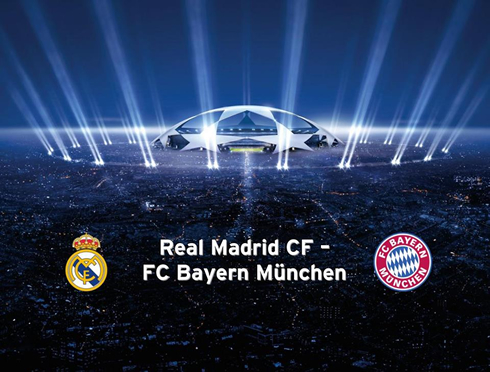 21.04.2014 » Is Real Madrid strong enough to beat Bayern Munich in a two-leg tie? 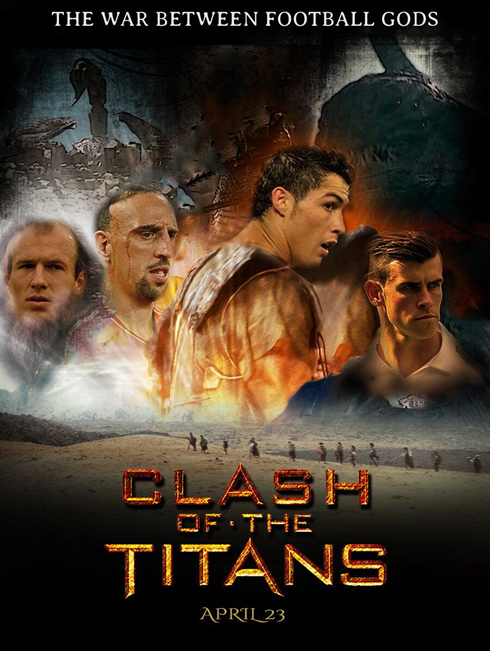 The waiting is finally over as Real Madrid and Bayern Munich are already sharpening their swords before they clash in what will be the biggest game of the season so far. While the Germans aim at becoming the first team to win two straight Champions League trophies, the Merengues have been starving for "La Décima" for quite some time... No matter what, we're in for an absolute cracker! 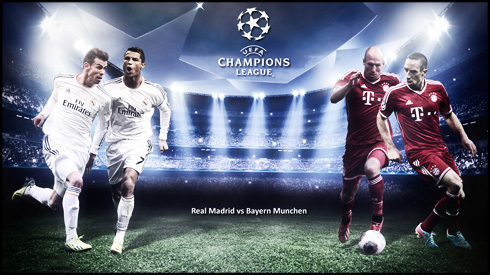 All bets are off for this Wednesday night game between Real Madrid and Bayern Munich, as the two European giants meet for the first time in two years, at the UEFA Champions League semi-finals first leg. It doesn't matter if you're a big football enthusiast or not, but in the hypothetical case you were only to be able to watch a single game this season, this Real Madrid vs Bayern Munich match should be your pick. Both teams come into this first leg close to be in their full strength and with so much at stake in the next 7 days, no one will dare to start thinking about holding back any sort of effort, even knowing that the 2014 FIFA World Cup is right around the corner. At the other semi-finals we'll have an Atletico Madrid vs Chelsea encounter and even though it might not be as entertaining as the game in the Bernabéu, it's definitely worth watching as well. Let's start by looking at a couple curiosities surrounding this upcoming tie. It's the first time that Carlo Ancelotti and Pep Guardiola face each other as opposing managers, even though they both have already had numerous encounters against Bayern Munich and Real Madrid respectively. What makes it even more interesting is that in those past meetings against their upcoming rival, they both hold an almost immaculate record. Carlo Ancelotti can brag about never having lost against Bayern Munich in any of the previous 6 occasions he stumbled against the German giants. We're talking about a record of 4 wins and 2 draws, sustained when the Italian manager was still coaching AC Milan. It might not mean much for these semi-finals' challenge that Real Madrid are up against, but if Ancelotti does manage to extend his unbeaten streak against Bayern Munchen, then it's very likely that the Merengues will go through to the Champions League final. In the other hand, Guardiola also doesn't seem to have many reasons to fear Real Madrid either. The 43-year old tactician has only lost twice in the last 15 meetings he had with the Merengues, all of them held as a FC Barcelona manager. He has a record of 9 wins, 4 draws and 2 losses, without never having lost in the Santiago Bernabéu throughout any of those four years he coached in Spain. 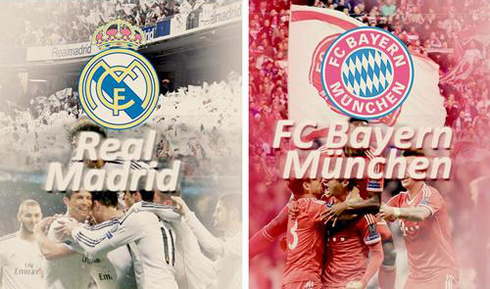 Over the last 40 years, Real Madrid and Bayern Munich have met in 20 different occasions, in official circumstances. The Spanish club won 7 of those (35%), while the German powerhouse left victorious in 11 games (55%). There were only 2 draws in the last 20 meetings between these two sides (10%), which allows us to immediately infer that we can definitely expect an open and attacking football both on Wednesday night at the Santiago Bernabéu, as well as in the return leg at the Allianz Arena, scheduled for April 29. Putting history aside for a bit, these Champions League semi-finals are looking totally unpredictable right now. Real Madrid are marching into this first leg with high hopes of pulling off a convincing win, but they'll need to deliver one of the best performances of the season in order to do so. Their defense needs to be solid as a rock and what can probably turn out to be a key factor is how the front men will get involved in defensive tasks and how they will help creating superiority in midfield, whenever that comes necessary. Cristiano Ronaldo is back from injury and will most likely be on the line-up this Wednesday night, together with Benzema and Gareth Bale, even though the Welshman seems to have caught a flu earlier this Monday. Bayern Munich travelled to Spain with only two relevant absences, Shaqiri and Thiago Alcântara. They have enough deep in their squad to cover for them though and even if they were to be fit at this stage of the season, they would probably be benched against Real Madrid. Guardiola is therefore bringing a very strong line-up, with the likes of Arjen Robben and Franck Ribery promising to create chaos all over Real Madrid's defense. Cristiano Ronaldo, Gareth Bale and Benzema. Cristiano Ronaldo next game for Real Madrid will be against Bayern Munchen, for the UEFA Champions League semi-finals 1st leg, on April 23, 2014. You can watch Juventus live stream, Real Madrid vs Bayern Munchen, Sevilla vs Valencia, Atletico Madrid vs Chelsea, and Benfica vs Juventus, all matches provided from our soccer live section.